MIFTAH is a founding member of AMAN Coalition (The Coalition for Accountability and Integrity-AMAN) and has been a member ever since. MIFTAH is an active member of the Civil Society Coalition for Amending the Penal Law. MIFTAH is an active member of Al-Muntada (NGO Forum to Combat Violence against Women). As a member of the Civil Society Team for Promoting Accountability and Transparency in the National Budget, MIFTAH actively participates in the meetings and the annual conference organized by Aman Coalition for Transparency and Integrity. 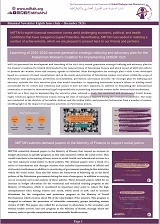 MIFTAH is a co-founder of the Palestinian Women National Coalition for the Implementation of the UNSCR 1325. 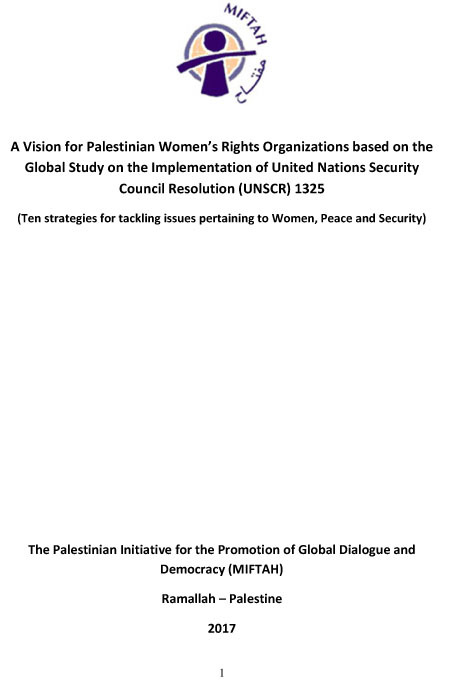 MIFTAH is an active member in the Higher National Committee for the Implementation of UNSCR 1325. MIFTAH is an active member in Al-Multaqa (Forum for gender and local governance). This forum aims at supporting women involvement in the decision making process at the local level through advocacy and networking.